Releasing a new book or fanfiction story always feels a bit like letting a child go out into the great, wide world and hoping that people will like it! I suppose it’s all the time and effort you invest as an author, the enthusiasm you feel while writing, and the wish that your readers will see the characters and world you’ve created through your eyes and fall in love with them. 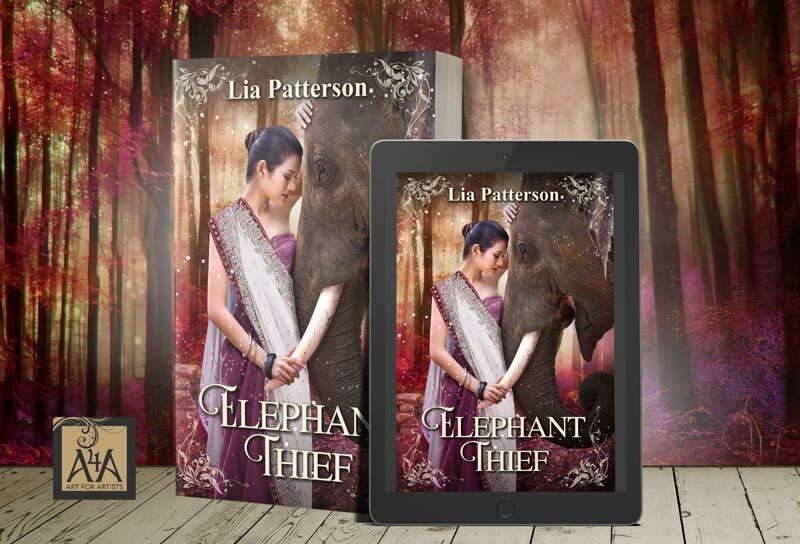 So today I launched my youngest offspring – Elephant Thief – a fantasy romance. It’s available as both eBook and print edition and I hope you’ll have as much fun reading it as I had writing it! This entry was posted in My stories and tagged Elephant Thief, fantasy, fantasy romance, magic, my books, writing. Bookmark the permalink. 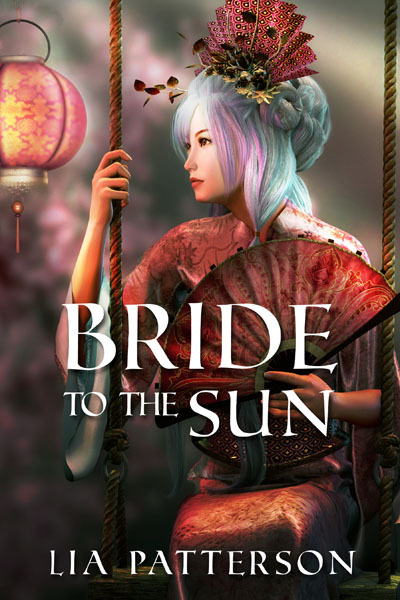 I’ve just finished reading Elephant Thief, and like Bride to the Sun, it was quite the captivating read. I rather liked how sensitive and peace-loving Arisha is, and yet isn’t afraid to defend her own when need be. Her strength of character shows throughout wonderfully. The subtlety of her magic is most intriguing and suits her personality excellently. Hami is adorable and the strong bond between him and his mistress is illustrated beautifully. I like how Rhys’s whole personality unfolds gradually – from cautious to slowly warming up; the pragmatic, cool, dangerous aspect of the warrior showing, and then his gentler side revealing itself in his dealing with Gwynt, Cerwen and Duach. I rather enjoyed his shrewdness, and his studying philosophy as a young man both contrasts with and complements his being a warrior most fascinatingly. And of course, that he is a commander who inspires respect and loyalty shows rather nicely. The supporting characters were all well-drawn, and the frail-looking but formidable lady Luned made me smile more than once. I liked how the history of Sikhand and Aneirion was expanded on, from Prince Maziar’s invading Aneirion for their horses, to the peace Arisha managed to forge between the countries that still stands three hundred years later. The only thing that caught my attention niggle-wise was the verb ‘christened’. With its original meaning so inextricably linked to Christian religion, it seemed a somewhat unusual choice for a fantasy universe; but that may simply be me being pedantic. Anyhow, all in all, this was a beautiful tale that evoked strong feelings. Thanks so much for your comment! 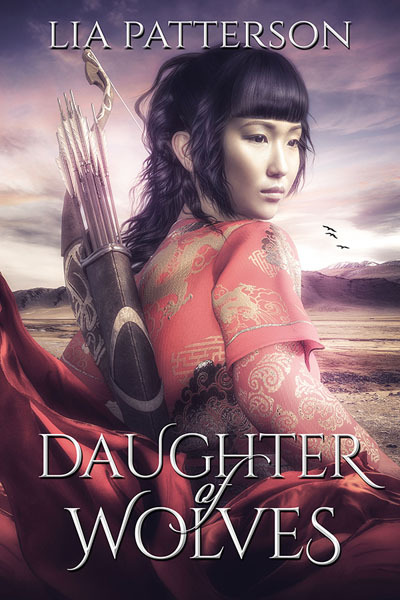 I’m really pleased to hear what details you liked about the book and what you thought of Arisha and Rhys – that’s very much how I wanted the characters so be perceived. I also had to grin at what you said about liking Hami and Lady Luned, because they started out as minor characters and then demanded a much larger role than I had originally intended. Lady Luned in particular insisted on being included in the escape. About the use of ‘christened’, I hadn’t really considered it in that light. I suppose I’ll have to fall back on Tolkien’s excuse, that I’m only translating the tale into Modern English 😉 I’ll keep a lookout for such words in the future though! Again thanks so much for taking the time to leave me a detailed comment, it’s really helpful!